Janet has always been active. She walks every day, loves downhill skiing in the winter and playing tennis in the summer. Never one to be content to let life just pass her by, she looks for forward to new adventures. As 60 approaches next year, the mountain goat has come out in Janet. 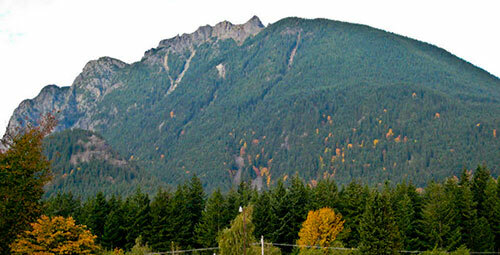 The first three pictures show Mt Si east of Seattle. 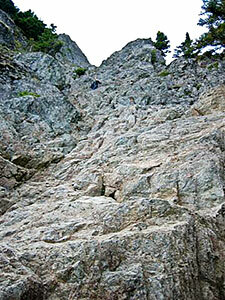 It is about 1500 vertical feet from the base and 8000 ft altitude. 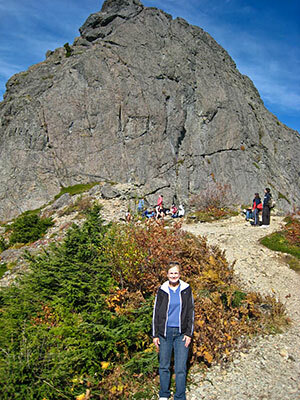 She and her two long time friends climbed to the rock face behind her. She went on her own to the top of the rock face, 300 ft vertical. 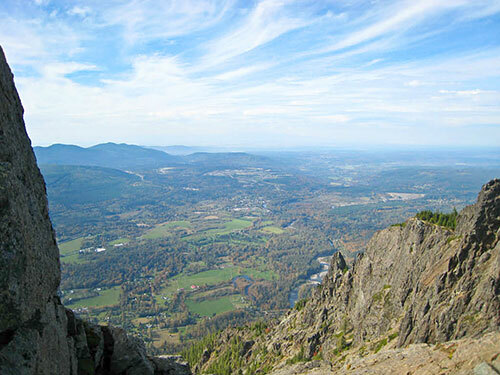 The base of the rock face of the pristine countryside of the Cascade Mountains. Coming down from a boulder at the Point Reyes National Seashore just north of San Francisco. 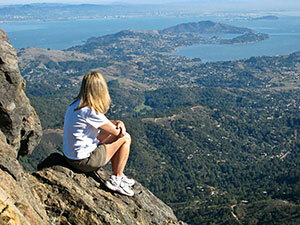 Janet sitting on top of Mt Tam overlooking the bay and San Francisco.